Mental health issues are common during the perinatal period, but in spite of their prevalence, many women with perinatal mental illness remain undiagnosed and untreated. A number of barriers prevent these women from seeking help. The most common barriers include a lack of knowledge about the conditions and their symptoms, and feelings of shame and stigma. This is the introductory animation in a planned series of three animations about perinatal mental health. These animations created for pregnant and postpartum women aim to address these barriers. They can help inform women who are undiagnosed, and encourage them to seek treatment. They can educate women who have already been diagnosed so they can be better informed and more involved in the decision-making process for treatment. Furthermore, women can share the material with family and friends, which will help their social support circles become more knowledgeable and more understanding about their condition. 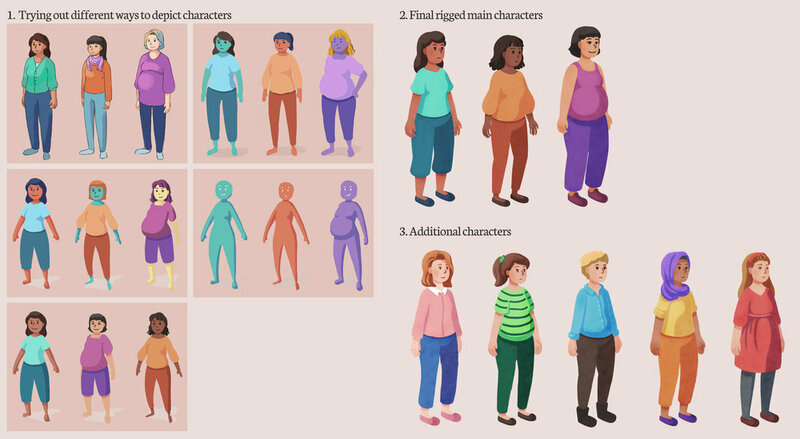 Since the characters are a very important component of my animation, I experimented with several different visual styles to find designs that are relatable, inclusive and appropriate. A simple animated graphic explains the timeframe of the “perinatal period”. 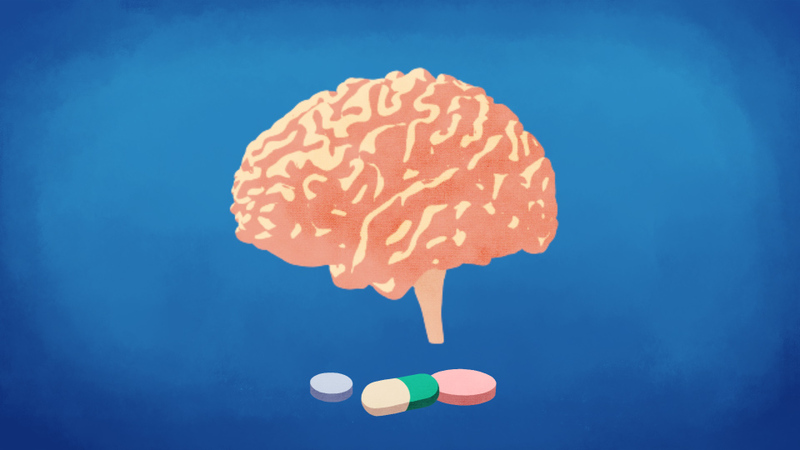 A shot from a scene about how antidepressant medication influences the way the brain works. This brain is animated from a 3D model but integrated into the rest of the mostly 2D animation.